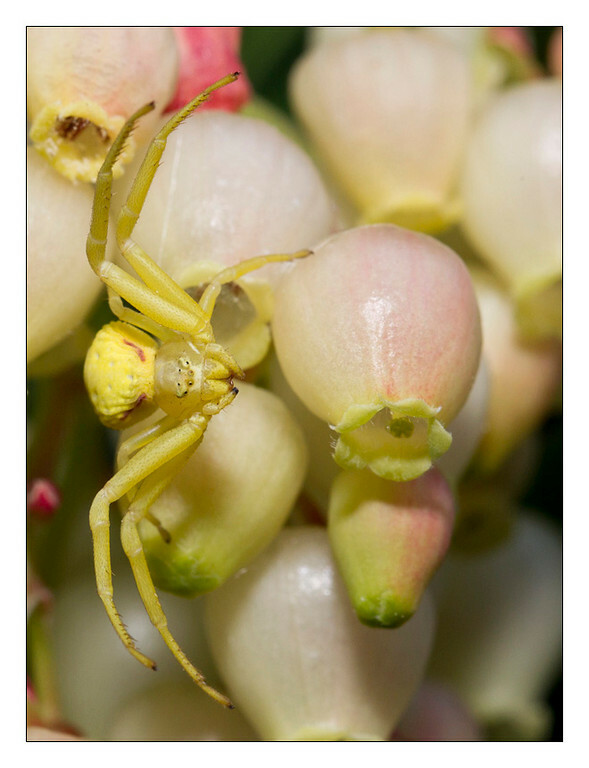 Jeff's Photographic Blog: 2010, Day 279 - Sneaky Shelob! I was walking through the neighborhood on my way to run some errands and I stopped to take a picture of this clump of flowers. After taking a couple photographs I noticed what I thought was a dead flower in the clump. 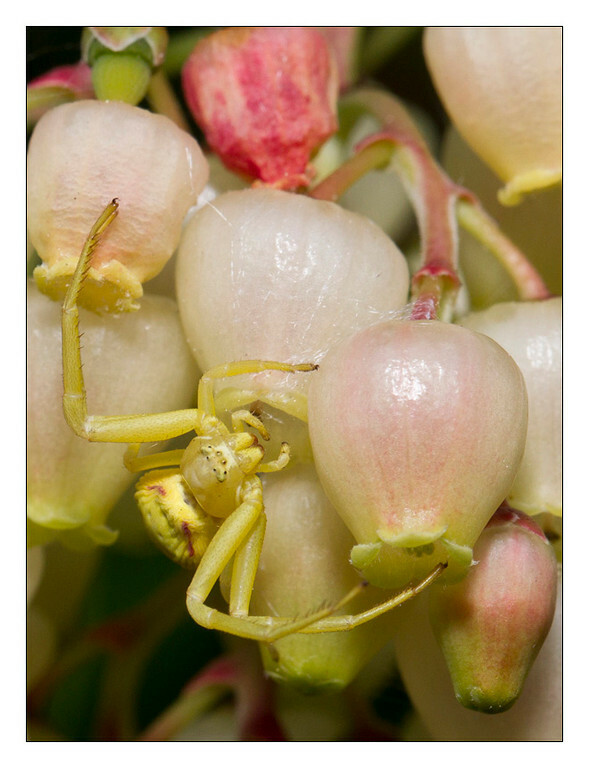 When I went to remove it to clean up the image I noticed it was actually a small camouflaged spider. He posed for me while took his picture! Nice. He camoflauges quite nicely.